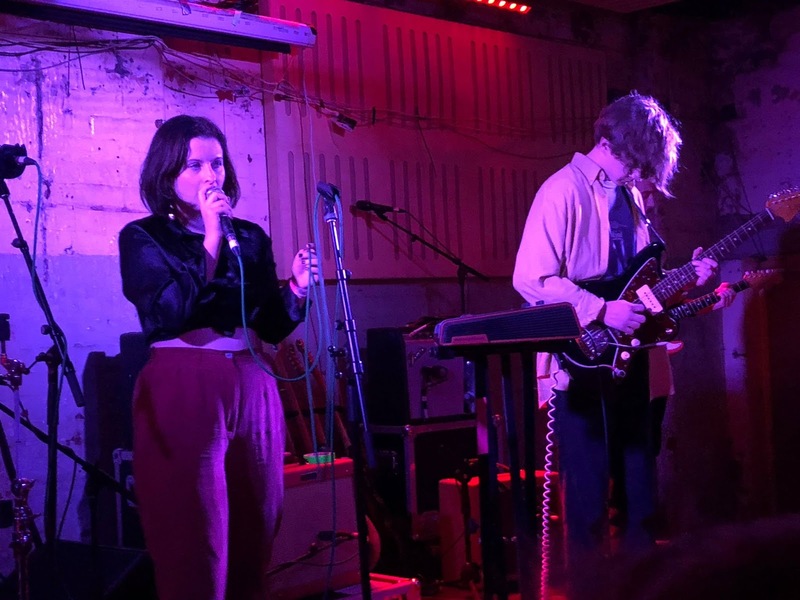 The Howl And The Hum played a sold-out show at Manchester's Soup Kitchen on Saturday night supported by Dundee's St Martiins. 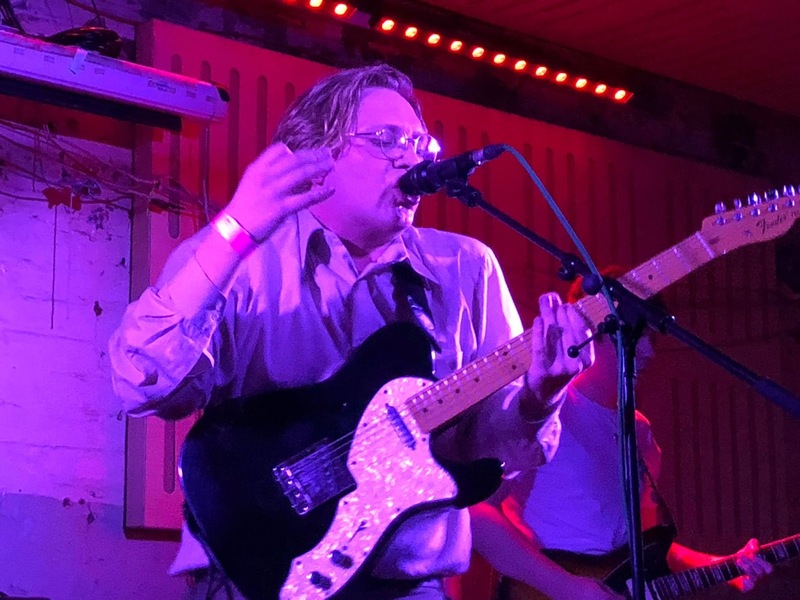 A set mixing tracks from their previous releases as well as new songs to be revealed during the course of 2019 had an attentive crowd hooked from the start and singing along to Godmanchester Chinese Bridge by the end, marking them down as one of the bands to keep a very close eye on in 2019. St Martiins have made the long trip down from Dundee and there's already a healthy crowd in for them. Katie and Mark have expanded their studio two-piece line up to a five-piece for the live shows so the sound of tracks like Jazzboy, Ur So Pretty, No It's All Over and Do Ur Words sound like different beasts here to the recorded versions. At times it feels like the natural chemistry of a duo has been realigned by the expansion of the band, but the intimacy in the songs still remains thanks to Katie's fragile understated vocals where you can almost hear the emotion cracking as she sings. The Soup Kitchen crowd pay attention though rather than the usual chatter that support bands have to endure allowing the songs the space and time to weave their magic. That audience respect carries forward into The Howl And The Hum's set, but for the most part it's in dumbstruck awe. Sam can't quite believe they've come to Manchester and sold out a prestigious circuit venue as this, declaring it "bonkers" a number of times, but it's something that they're going to have to get used to if the response they get tonight is any barometer. In the quieter more introspective moments, of which there are plenty, you can hear a pin drop and as the songs explode into brilliant light and soar towards the horizons wrapped in the emotional torment of lost love we're stunned by a band that is actually delivering the sort of widescale aural landscapes that so many others claim to draw in their wildest dreams. From opening track Terraforming through to the title track of the EP that it appears on, Godmanchester Chinese Bridge, The Howl And The Hum demand our attention throughout. Whether it be Sam's very deliberately precise explanations of what songs are about to the way they appear to have perfect control of the mood of the songs, rising from intricate guitar strumming to huge anthemic soaring choruses in the blink of an eye, there's something about them that makes us think they could just become the biggest band in the country with a fair following wind. Future single Sweet Fading Silver is a gorgeous lament to a lost love told through the breakdown of a Fiat Punto between East Midlands Airport and Nottingham. The observations may be personal, but there's something here that connects with everyone in the room who's been through a break-up, the heartbreak and the thought that things will never get better. Hostages deals with the handover of acquired shared possessions in a relationship, giving back things that had been there for years as part of the furniture whereas Godmanchester Chinese Bridge itself mulls over a lost love who's gone off and been successful and wanting them back in their own magical place to rekindle where they'd been before. It isn't all post-relationship melodrama. Don't Shoot The Storm uses the tale of Florida police having to tell residents not to shoot into a hurricane because the bullets come back at you, but the clever intent of Sam's lyrics are here where the connections are made, a trick that only the greatest lyricists can manage, the personal into the all-encompassing that can mean anything to anyone. Wish I Was A Shark muses about blood in the water and is accompanied by drummer Jack's sound effects and Conor making his guitar sound like a submarine as they experiment with their sound. Murder is a tale of extra value lager and a half drunk bottle of red wine in St John's Wood in London, full of intelligent descriptive language that sets the scene. Other unreleased songs Vitamin and Hall Of Fame have a similar impact on the rapt audience. Bands at this stage of their development usually have a couple of songs that are recognised by the crowd and the others allow for distractions, but there's no such respite for the audience with The Howl And The Hum. The response they get at the end of each song in rapturous, people are mouthing even the unreleased songs and there's a reverence you only get for much more established bands. There's a sense that we're witnessing an "I was there" moment, both from the band's reaction to the audience and the way they feel they've already outgrown this room. You can never quite predict how things will work out in the music industry, but The Howl And The Hum very clearly stand out from their crowded peer group, they're unique in their style yet make the all important connections with the crowd, focusing on the music and the music alone rather than image and are all the better for it. The Howl And The Hum's official site can be found here and they are on Facebook and Twitter. 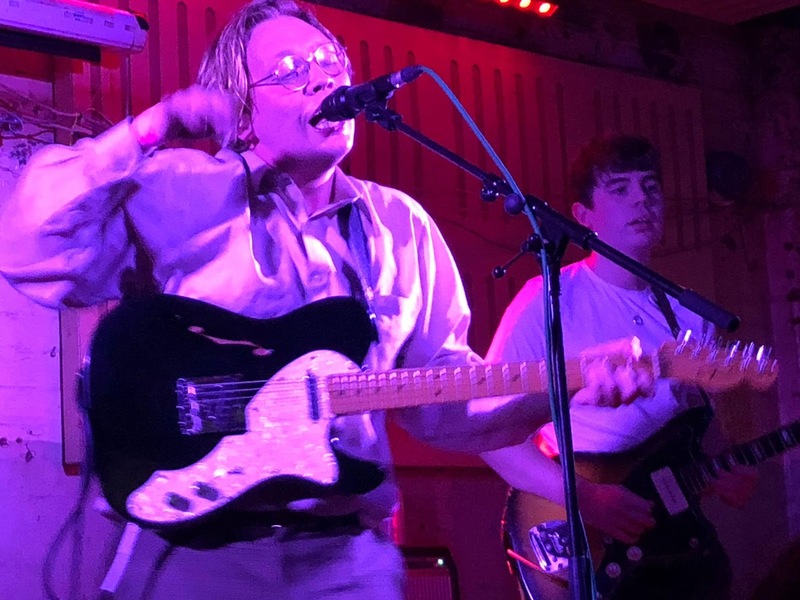 They play Liverpool EBGBs (January 29), Sheffield Leadmill (30), Nottingham Bodega (31), Bristol Louisiana (February 1), Birmingham Sunflower Lounge (3), Brighton Prince Albert (4) and London Omeara (5). St Martiins are on Facebook and Twitter.